John Glaser has been an astute observer and recognized leader in the health care industry for over thirty years. He has written a regular column for Hospitals & Health Networks in which he comments on a wide range of topics, including improving organizational performance through health information technology (HIT), changes in HIT architecture, challenges in leveraging data, and the evolution of the role of IT leadership. Each section offers readers an intimate look at the myriad issues associated with getting IT "right" and the organizational performance gains that can be achieved in doing so. Moreover, the book examines the power and potential of the technologies available to health care providers today, as well as the transformative nature of those we have yet to fully embrace. From seasoned CIOs and consultants to software developers and nurses, this book provides invaluable insights and guidance to all those seeking to make the delivery of care safer, more effective, and more efficient through the application of health care IT. 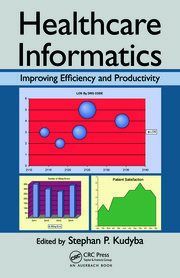 Co-published with Health Forum, Inc.
What Happens After EHR Implementation Is Done? Data Challenges on the EHR Agenda: Are They Using IT Effectively? John Glaser, PhD, is the senior vice president and member of the executive cabinet for Cerner Corporation. Formerly, he was chief executive officer of the Health Services Business Unit of Siemens Healthcare, where he was responsible for heading Siemen's global healthcare IT business. Cerner acquired Siemens Health Services in February, 2015. Prior to joining Siemens, Dr. Glaser was Vice President and Chief Information Officer, Partners Health Care, Inc. Among his many industry affiliations, Dr. Glaser was the founding chairman of the College of Healthcare Information Management Executives (CHIME), past president of the Healthcare Information and Management Systems Society (HIMSS), and has served on the boards of the eHealth Initiative, the National Alliance for Health Information Technology, and the American Medical Informatics Association (AMIA). Additionally, Dr. Glaser is a fellow of HIMSS, CHIME, and the American College of Medical Informatics. He is also a former Senior Advisor to the Office of the National Coordinator for Health Information Technology (ONC). 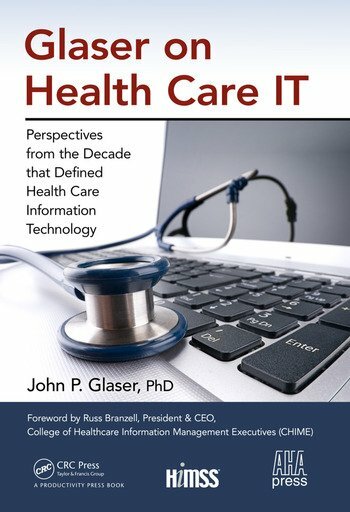 Dr. Glaser has published more than 150 articles and three books on the strategic application of information technology in healthcare, including the most widely used textbook on the topic. He is on the faculty of the Wharton School at the University of Pennsylvania, the Medical University of South Carolina and the Harvard School of Public Health. "This book is a collection of John’s finest and most challenging work. These writings represent over a decade of self- and industry introspection and critique. Some will explore the current challenges and potential solutions we face during these transitional years; some will dissect the current policy, exploring weaknesses and errors; but all will educate and inform in a witty and thought-provoking style. Today’s challenges, just like those of the past several decades, require shared learning and understanding. These writings represent an amazing opportunity to learn and understand from one of the best. He not only helped to start us on this journey but also blazed a path of discovery and innovation."